The summer 2017 Kenow Mountain Wildfire burned 19,303 hectares within Waterton Lakes National Park – just over onethird of the park’s area. As a result, about half of Waterton is presently closed to public access. Fire is a natural and required element in this landscape. 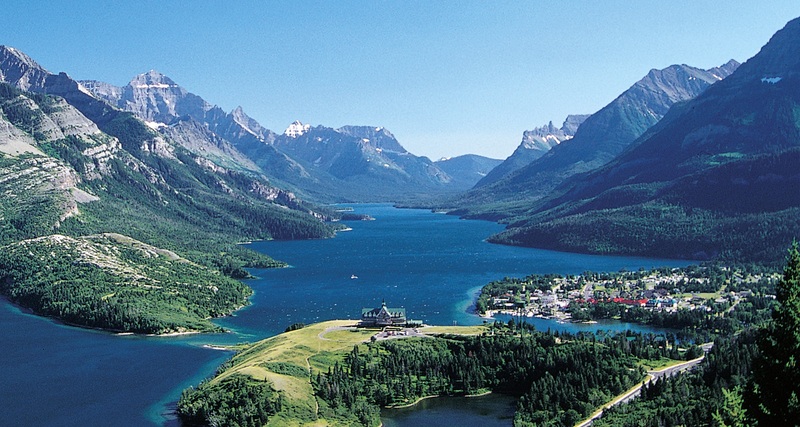 While Parks Canada regroups and nature rejuvenates, you still have opportunities to enjoy time in Waterton, where mountains and prairie meet. Bison Paddock – To reach the viewpoint, follow Hwy 5 and Hwy 6 to the north boundary of the park. The 300 m viewpoint trail is wheelchair accessible. The fescue grass and wildflowers of the Bison Paddock prairie are a remnant of the natural vegetation of the northern interior plains where, in 1790, as many as 60 million bison roamed. The accounts of white explorers describe having to wait days for migrations of the animals to pass. When horses and rifles appeared on the bison’s range, the species was subjected to a senseless slaughter. Settlers burned habitat and ploughed it. Diseases imported by domestic cattle also took a toll. By 1890, the population of the plains bison had dropped to 1090. The decimation was a tragedy unparalleled in Canadian history. Coupled with white settlement and the creation of reserves, the eradication of wild bison spelled the end of traditional ways for First Peoples of the plains. Walking Coyote saved the plains bison from extinction when he captured animals in southern Alberta in 1874. He sold some of these bison to two ranchers in Montana. In 1907, the Canadian government purchased 716 bison from the captive Montana herd. Descendants of these animals now constitute the exhibition herd at Waterton, established by Parks Canada in 1952. The herd typically numbers between 12 and 20. As the Kenow Mountain fire advanced in September 2017, Parks Canada evacuated the bison. The fire destroyed the handling facility. It is not known when the bison will be returned, but the grasslands, naturally regulated by fire and in full view from the viewpoint, will soon recover. Kootenai Brown’s Grave – John Kootenai Brown epitomized the “wild west” of the 1800s. He served with the British Army in India and prospected for Cariboo gold. He ran whiskey, and serving as a Pony Express rider, his pre-Waterton life was an encyclopaedia of adventure. Brown first saw the Waterton Lakes in 1865. He returned three years later to settle near the mouth of Blakiston Creek, the first of five locations where he lived in what is now Waterton. Brown’s idyllic life of guiding and trapping ended in the 1890s. He witnessed the demise of the bison. Increasing numbers of visitors began to threaten other wildlife. Ranchers pressured the government to set aside land in 1895 – the Kootenay Lakes Forest Park Reserve, the forerunner of Waterton. At the age 71, Brown became the park’s first employee and guardian; a position he held for three years. The park’s area was then increased thirty-fold requiring a younger man in the patrol saddle. Brown was buried in 1916 where this trail ends, on the shore of Lower Waterton Lake, between the graves of his two wives, Olivia and Isabella. 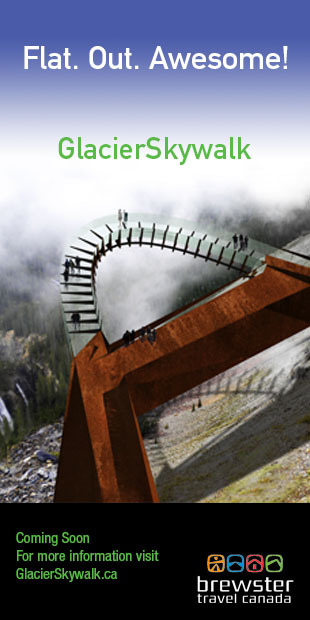 Access the trail on the east side Hwy 5, 3 km south of Hwy 6, 5.4 km north of Waterton Park village. The path leads gently downhill for 500 m through fescue prairie. There is a bike lock-up at the trailhead. Chief Mountain Highway – The 22.5 km drive along Chief Mountain Highway between Hwy 5 and the US border offers panoramic views of Waterton’s front-range peaks. The highway skirts the eastern edge of the park, and forms part of the parks boundary. The landscape is a mosaic of grassland and wetlands; the kettle lakes provide important habitats for ungulates and migratory birds. At km 15.4, you may stop at Chief Mountain Overlook, which grants an impressive view of the Waterton Valley to the northwest, and Chief Mountain to the south. Further south, the highway crosses the Belly River. Nínaiistáko is the Blood (Kainai First Nation) name for Chief Mountain. It means, “mountain that stands apart.” It’s an apt label; the mountain’s east face rises 457 m above the plain and dominates the landscape. Chief Mountain is at the leading edge of the Lewis Thrust, one of the larger on Earth. It slid 140 km during creation. In geologic terms, Chief Mountain is a klippe – the remnant of the eroded, leading edge of the thrust sheet. The peoples of the Blackfoot Confederacy consider Nínaiistáko a sacred place. If you plan to enter the US at Chief Mountain Border Crossing, ensure you have proper ID.